It is OUR pleasure to invite you to SUSSED Wales’ Annual Meeting 2017/18, 12thDEC 2018, 7:00pm followed by refreshments and buffet. To be held in the Green Room, above SUSSED. The AGM,we expect, to be quite informal and short. 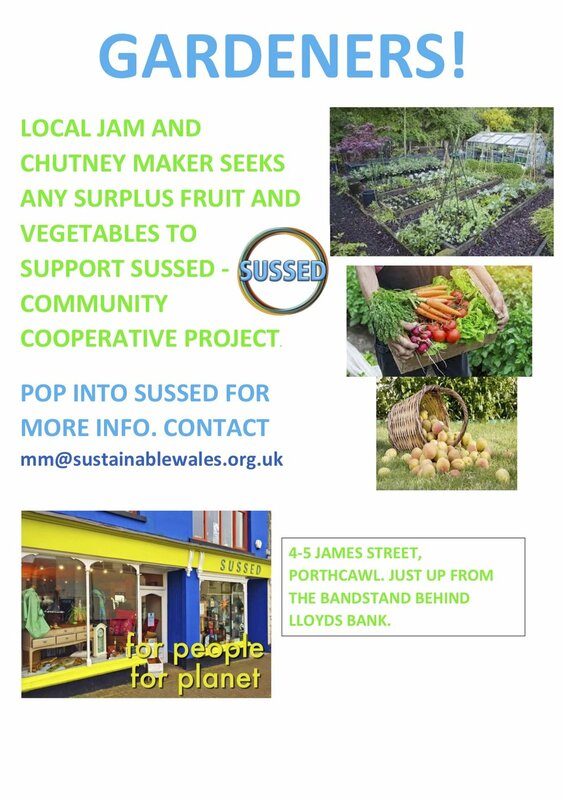 It will update people about SUSSED’s trading, finances and activities and elect the SUSSED board of directors and review volunteer roles and responsibilities. The Directors are recommending a small change to the membership. All active volunteers are free and automatically become members with all the benefits. They are the ones able to vote at the AGM. Paying members are invited, also to all activities, but do not need to vote. They can contribute ideas and suggestions at anytime during the year. This can be discussed at the AGM. If anyone would like to stand as a company Director please get in touch before-hand. Or maybe you would like to volunteer not only with shop sales, but other tasks like volunteer coordination, membership development, administration, finances, product information research, communications, IT or events ? We would be delighted to hear from you. As a community cooperative our volunteers, supporters and membership are central to the organisation. We are a democratic and thus participatory organisation – we need not only your commitment to shop at SUSSED but also your ideas. Indeed, as community members you have a stake in the business as you are in fact the “owners”. Thus, we appreciate it when people attend the AGM and give us feedback. Afterwards let’s celebrate the fact that our community actually has a shop like SUSSED. We hope that you can attend what should be an enjoyable evening. Please RSVP, via email (mm@sustainablewales.org.uk) or phone (01656783962) to ensure there is an appropriate amount of seating and refreshments available. 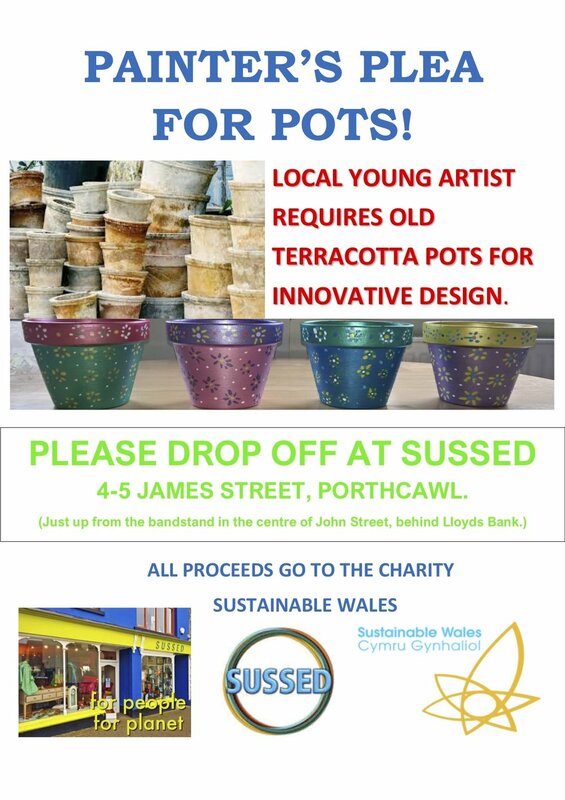 WANTED: terracotta pots and surplus home grown vegetables! Brahma Kumaris World Spiritual University are a registered charity, providing free of charge talks, workshops, retreats and courses in meditation and related subjects. www.brahmakumaris.org/uk.